Once upon a time, the Electrical Water Pageant was more than just floating screens of light set to synchronized music that toured the Seven Seas Lagoon. 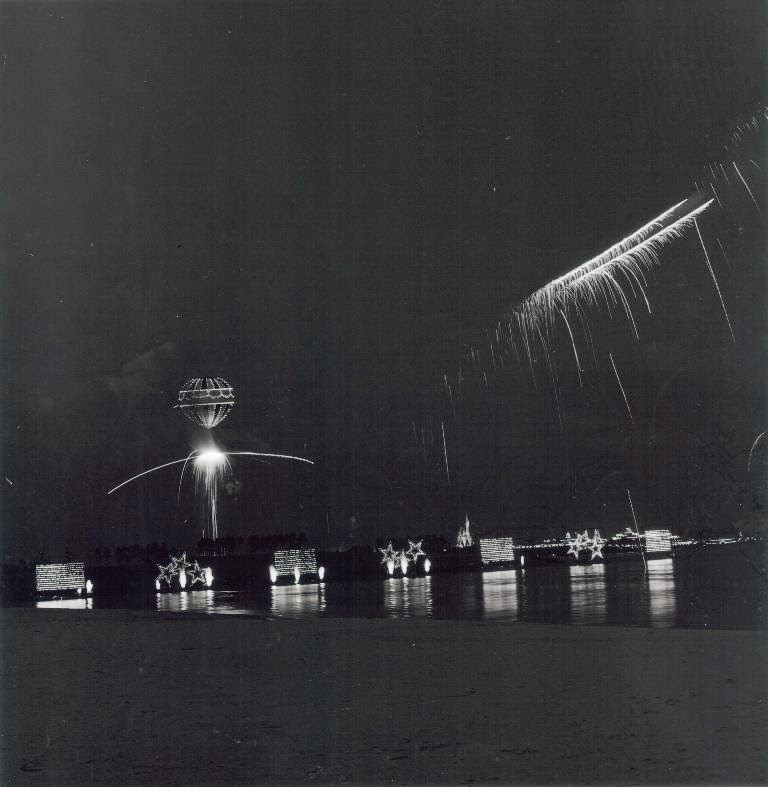 In fact, during the Bicentennial celebration, the nighttime spectacle introduced its longstanding patriotic finale and came complete with fireworks. More than that, however, it also featured an illuminated hot-air balloon that could also shower the scene with fireworks. IllumiNations has always spoken to my feeling of global connectedness, Wishes my deep feelings of family, and the Main Street Electrical Parade will always be my favorite parade, and they all find a way to choke me up. All of that said Electrical Water Pageant is hands down my favorite nighttime activity past or present in Walt Disney World. 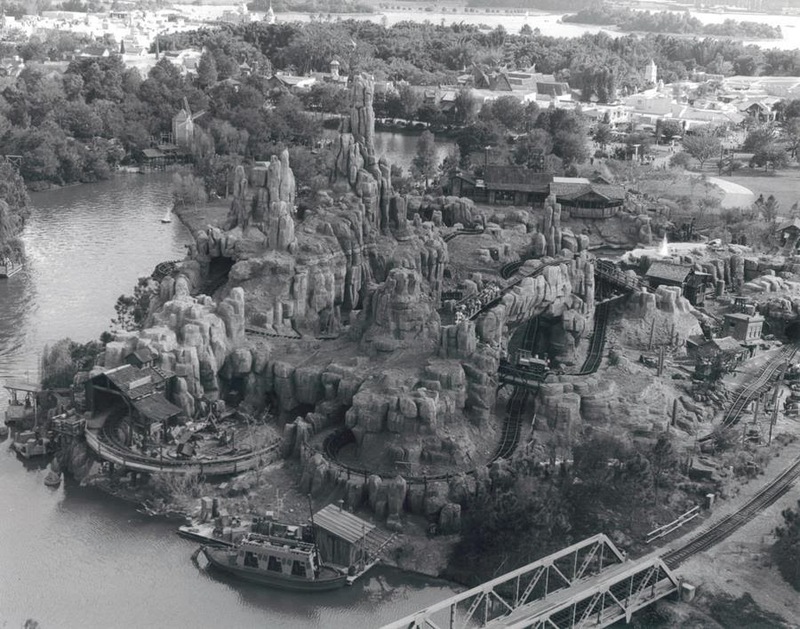 Do you ever look at an old press photo from Walt Disney World, not for what the actual subject matter of the photo is but for all the little things that can be seen, or maybe not seen, in them? As much as I love Big Thunder Mountain Railroad, there are so many other things that I love in this 1980 aerial photograph. 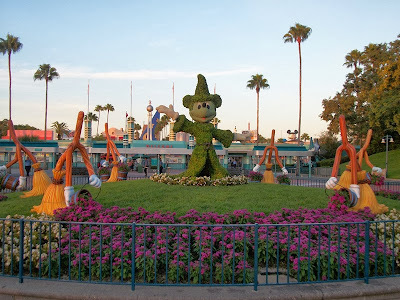 The wide expanses of green grass where Splash Mountain and the Frontierland station of Walt Disney World Railroad would one day go. The tree-lined walkway that leads (out of frame) to the original Frontierland station of the Walt Disney World Railroad. The dusty road of Frontierland without a boardwalk along the muddy banks. Have you been tuning in to Cosmos on Fox or National Geographic Channel? The thirteen episode series is Neil deGrasse Tyson’s love letter to the original Carl Sagan series that aired on PBS in 1980. Where the original was billed as ‘A Personal Voyage,’ this new series is presented as ‘A Spacetime Odyssey.’ These two tagline have infinitely more in common with one another than you’d think, aside from the fact that they work from the same source material, and also a bit more relevance to Walt Disney World than you’d believe. Both variations of Cosmos have gone to great lengths to bring science to the masses in forms that are easy to comprehend. The one thing that Carl Sagan in 1980 and Neil deGrasse Tyson in2014 have proven is that there is little that separates the understanding of the universe, how and what it is formed of, and how long it has been around and our own personal history as human beings. If you need any further proof, you need look no further than Epcot. Our human stories are as alike as they are different, and each tale can be witnessed in World Showcase. Meanwhile our stories of discovery and understanding intermingle, mesh, and share their unique strengths all throughout Future World. Tyson may be an astrophysicist, but his knowledge base spreads far and wide across cosmos of sciences. Sure, he may have blamed Disney for the outpouring of sentiment tied to Pluto’s downgrading to a dwarf planet. In fact he went as far as to hypothesize that, “…the dog Pluto, Mickey’s dog, was first sketched the same year Pluto was discovered. They have the same tenure in the hearts and minds of Americans. The same tenure. How can you shake that? That’s an unshakeable correspondence.” He understands sentiment and how it affects our perspective on the world around us and the worlds beyond us. Where am I heading with this? I’m heading back to EPCOT Center. Disregarding Walt’s original plan for a continually evolving community, the second gate of Walt Disney World utilized some of the brightest minds to develop the park’s pavilions. There was an exploration of history and dreams of tomorrow present in all facets of the park, from transportation to communication. Though the power of imagination was granted its own pavilion, it was the spirit of imagination that was present in each queue, attraction, and post-show that made these precise sciences tangible to every guest. Meanwhile, back amongst the Cosmos, Sagan and Tyson take flight in their own Spaceship of the Imagination, making the same sciences plain and clear to every viewer. Perhaps it is time for Tyson to land his spacecraft in Epcot. Should he be narrating Spaceship Earth? Maybe. Could he build a better space mission? Perhaps. Could the Spaceship of Imagination be an attraction of its own? Absolutely. Yet, all of these ideas are thinking to small. Tyson may not be an expert on everything, he knows how to bring sciences to the masses, he knows the brightest minds around the globe, and he has enough dedication to see Epcot reach its potential. What I am suggesting here is the Tyson should be advising Disney on how to bring the lessons of yesterday and the dreams of tomorrow in line with one clear vision that can be spread across the entire park. 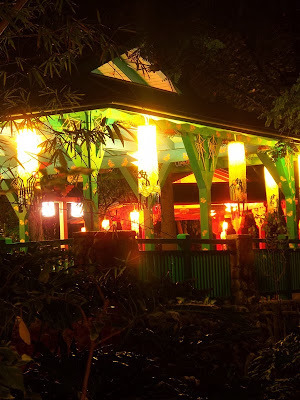 That doesn’t mean every pavilion should present the same type of material in the same way, but it does mean that the message of the park should be clear and concise in its presentation. 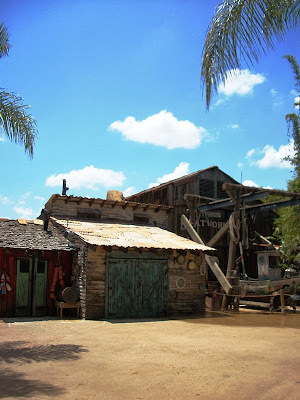 Similarly, I would argue, to how different and alike the message of conservation is throughout the attractions and lands of Disney’s Animal Kingdom. Does Neil deGrasse Tyson have all the answers to refine and refocus Epcot? Maybe not, but it is this type of thinking that will return Epcot to its inspirational and informative roots. I for one would be happy to climb aboard the Spaceship of the Imagination, a reimagined Spaceship Earth, or an overhauled Universe of Energy that presents guests with a sense of community and shared history while reaching for the stars and beyond. It may not be Tyson who can or should spawn this reinvestment in Epcot’s message, but if I’ve learned one thing from viewing Cosmos, it is that time is short and there is a lot of the universe to cover! As a kid I wanted to be a lot of things; an astronaut, a deep sea explorer, a police officer, an architect, an explorer. A lot of these ideas came to me from the lens I look at the world through, i.e. Walt Disney World. I was always a huge lover of dinosaurs and when Jurassic Park entered my universe in 1993, I knew I would be the real life Dr. Alan Grant! Like the explorer, astronaut, and police officer, I didn’t become a world-renowned digger upper of bones. Not even close. However, at The Boneyard I get to relive those dreams I had. The question of the day is, do you realize just how many different dinos and extinct creatures you can actually investigate within the shifting sands and rocky outcroppings? It’s quite the education for those of us who once dreamed of being paleontologists. The mammoth is obvious, as is the skull of the Tyrannosaurus Rex, but what else is really there to be discovered? The answers are actually right in front of you! 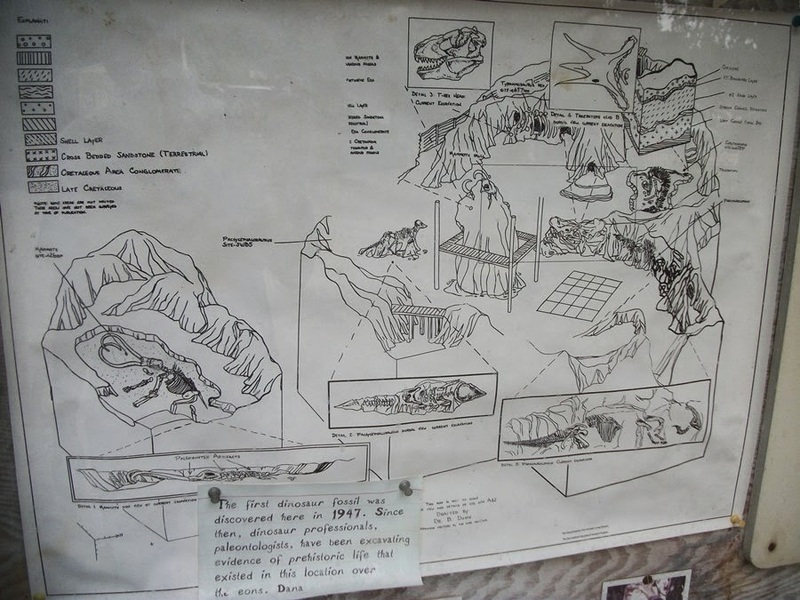 As you enter the attraction, be sure to check out the map on the bulletin board, it shows you where each set of fossils reside and precisely what they are! For those of you that want to dig up some fun facts to impress your kids when you’re heading into The Boneyard, let me give you a rundown of just a few of the other species that are immortalized in stone in the area. In addition to the T-Rex and multiple fragments of mammoths, you can also find Pachycephalosaurus, Triceratops, Corythosaurus, and Parasaurolophus. Additionally there are also some artifacts that have been left behind by paleohunters. Dinosaurs are always a big hit with the younger set, but there is still enough there to fascinate and capture the imaginations of us big kids too. If you ever had they dream of uncovering your own Velociraptor claw, The Boneyard still gives you a ton of chances to live that dream, you just have to know where to look. It’s a good thing they provide you a map to find all of their amazing excavations! Sure we have Donald Duck appearing along the Rivers of America in explorer wear in Frontierland these days, but does that really compare with these getups? 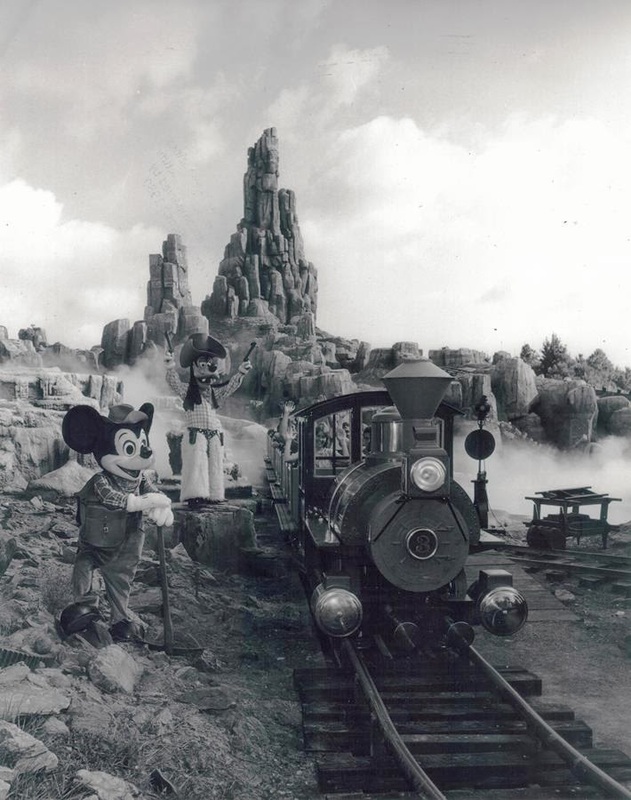 Imagine walking around Frontierland in the 1980s, heading right up to the gates of Big Thunder Mountain Railroad and finding these two waiting for you! Sometimes it is all about the outfit.